Whether you’re a new mom or have 4 kids, choosing an infant day care is never easy. There are many options in terms of styles of day care for your children – formal child-care, in-home care, family-oriented care – but there are some fundamental features you should never miss. Here are some of the most important things to look for in an infant day care with regards to the caregivers, the program and the facilities. The most basic of the attributes looked for in a caregiver is their ability to care. Attend a day session or two: planned or unannounced to truly gauge the atmosphere created by the staff. How much love and support do the caregivers show the kids who are there? Are good behaviors rewarded and celebrated? Are difficulties supported and nurtured as opposed to ridiculed or ignored. In the initial formative years, touch and companionship are essential for neurological development – are younger children in the lap of a caregiver during the program? Additionally, problem-solving situations and addressing conflict is a vital skill of a caregiver. This includes problems that may arise between parents or disagreements in curriculum. A good infant day care center will address problems promptly and professional. It is imperative that the adults who are placed in charge of the care and development of your children be engaging and directly stimulating. A caregiver should be at eye level with your child or the other children – truly being a part of their learning world. A caregiver should be attentive and show that he/she is listening and responding appropriately to the development needs of the children placed in his/her care. How connected to the caregivers seem to the children and their personalities and their everyday needs? Infants are unable to communicate their needs to wants effectively, but if a caregiver spends enough time with them, they should be able to understand common cues, noises or movements that may signify special needs. Children are vastly different in every age group with regards to their motor, social and personal development. It is so important for a caregiver to truly understand the age group he/she is working with. Are they familiar with the necessary milestones for each age group? How aware are they of red flag situations? How educated are they in terms of methods of stimulation to improve the attainment of milestones? Caregivers who are accredited or have obtained degrees in Early Childhood Education are a fantastic asset to have on a day care center staff. Often, a problem faced by day care centers is staffing. Ensuring that caregivers have enough time to spend with the children – sufficient one-on-one time and an approachability that makes them constantly available is so important in a good child care center. Infants are particularly difficult as their problems must first be identified, then addressed. A good child-caregiver ratio is essential for providing the best possible day care for your kiddy. The last characteristic we recommend in a caregiver is that of openness. It is crucial that you should be confident in their communication about your child’s status, about their progress or about any concerns that may arise. An infant day care center may not seem like a structured program would be a priority – but this is the best time for it. It is essential for adequate neurological and social development that children are introduced into a routine that makes time for both active and passive stimulation, eating, socializing and sleeping. Children’s circadian rhythms are shorter than an adult’s, but vary quite greatly between age groups. A good care program makes allowances for more or less sleep cycles to facilitate the best learning ad growing environment for your child. We have already mentioned the importance of catering to the variable age groups and their specific needs. But children also have different personalities, abilities and preferences. Make sure that a curriculum makes allowances for individualization to maximize your child’s potential. 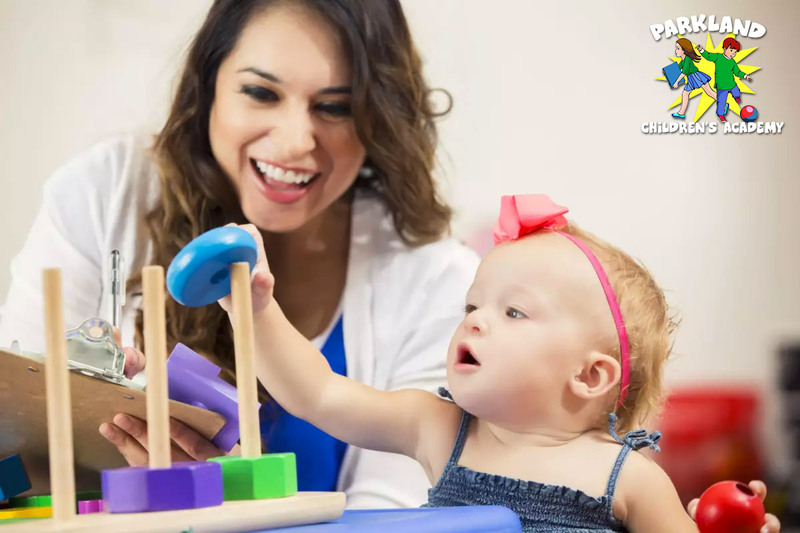 Although every state has different licensing requirements for day care centers, it is important to ensure that some form of licensing, whether state or local, is obtained. Look for signs of accreditation – is their program recognized by the National Association for the Education of Young Children or the National Association of Family Child Care? Are their staff certified? Are any specialized in infant-toddler care? Ask for references and ask friends and family for their experiences with various day care centers. Find out how parents feel about certain parenting policies around discipline, television, feeding and sleeping. Make sure that there have been no disturbing instances so that you can have peace of mind. Make sure that the care center has policies in place for hand washing, cleaning of facilities and other hygienic principles. Inquire about the food – quality, types of food, preparation and storage; it is so important that the food be nutritious and kept safely. Infant specific care should deal with expressed milk that are hand fed – bottles should not be propped. Care centers should require both staff and children to be up-to-date with their immunizations. These are the top 5 best Caregiver and top 5 best Care facility things to look for when choosing an infant or child care center. 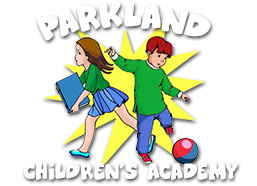 At Parkland Children’s Academy, we are dedicated to the best holistic curriculum at our preschool center so that our children learn and have everything they need to reach their full potential. If you would like to know more about our school, give us a call today.